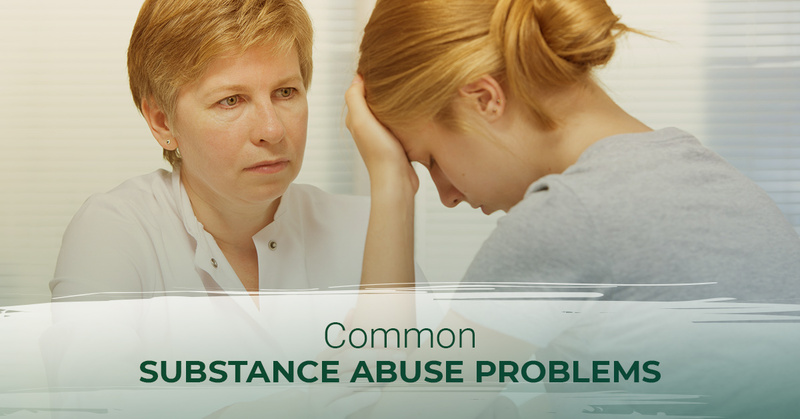 Often times it is difficult for friends and family to recognize the signs of substance abuse in loved ones. This is due to a variety of reasons including simply not wanting to believe there is a problem, to substance abuse being normalized. In our culture, being under the influence is commonplace and there is a thin line between normal recreational use and substance abuse. Here, we will discuss some of the most commonly abused substances and some signs that someone you care for (or you) may have a substance abuse problem that requires intervention and substance abuse treatment. Because tobacco is legal and a socially-acceptable addiction, and because it does not cause mind-altering effects, tobacco abuse is often ignored. However, there are more than 40 million Americans who are addicted to the nicotine in tobacco products and nicotine use accounts for more deaths than any other addictive substance —nearly 500,000 smokers and 41,00 of those exposed to secondhand smoke. And, according to the CDC, for every person who dies from tobacco use, there are 30 more living with a serious, chronic tobacco-related disease and is responsible for nearly 170 billion dollars in medical expenses. Signs of nicotine addiction include irritability, attention and sleep problems, depression, increased appetite, and a preoccupation with using. Alcohol is the most-abused addictive substance —nearly 18 million— in America and accounts for 41 percent of substance abuse treatment admissions. Because alcohol is a legal substance and a widely accepted recreational substance, identifying a substance abuse problem may difficult and often times the addiction goes unaddressed far longer than other substance abuse problems. Signs of an alcohol problem include a decreased involvement in activities, a lack of interest in family or friends, restlessness, depression, or a preoccupation with drinking. As with most addictive substances, a user will develop a tolerance and require more of the substance to reach the same mental state each time they use. With the increased legality of marijuana and widening social acceptance, marijuana abuse is also difficult to notice, and because the symptoms can be more subtle, it is more difficult to recognize than alcohol abuse. There has been a decades-old debate as to whether marijuana is a classic “gateway drug,” meaning it leads to the use of other drugs. While many people use marijuana in the absence of any other substance, over 70 percent of illicit drug users used marijuana prior to moving on to “something harder.” This does not mean that marijuana use is causal of illicit drug use; it does indicate that those who search for a mind-altering substance may begin with marijuana and not find the results they were hoping for. Signs of a marijuana abuse problem include irritability, difficulty sleeping, decreased appetite, anxiety, and a preoccupation with using. Long-term marijuana abuse can lead to mental decline and depression. Prescription painkillers —whether the user’s prescription or purchased illegally— are responsible for the addictions of nearly two million Americans. Again, because most of these drugs are obtained legitimately and prescribed by a medical doctor, it can be difficult to identify a substance abuse problem. Most painkiller addictions begin as the legitimate use for an acute injury. However, the euphoria and feelings of general painlessness and wellbeing can be psycho addictive, whereas the drugs have chemical addictive properties that can cause substance abuse and dependence problems. Drugs such as Codeine, Fentanyl, Vicodin, Dilaudid, Demerol, Methadone, Morphine, OxyContin/Percocet, and Oxymorphone are addictive. Signs of abuse include increased pain, insomnia, diarrhea, vomiting, cold flashes, muscle twitching, and a preoccupation with using. The first illegal, illicit drug to make the list, cocaine is responsible for over 800,000 addictions in America. While this number continues to decline each year over the last decade, the decline is slow and has been replaced by the growing heroin addiction. Cocaine is a highly-addictive substance and crack cocaine is cheaper and more intense of a high. Because it is difficult for someone who is under the influence of cocaine or crack cocaine to function normally, it is often easy to identify use and abuse symptoms. The devastating truth is that these substances are highly addictive and can easily consume the user’s life and are more dangerous, in the short-term, than any other drug to have made the list thus far. Fatal cardiac toxicity is one of the major risks —which is exacerbated when combined with alcohol— of cocaine use. Signs of cocaine abuse is depression, insomnia, slowed thinking and movement, restlessness, vivid nightmares, and a preoccupation with using. Although heroin is not a new drug, it continues to be a growing concern as each year it claims more lives in both fatalities and addicts. Nearly 600,000 Americans suffer from a heroin addiction and each year over the last decade, the number continues to rise by nearly 50 percent each year. Those numbers are staggering and pose a huge threat to our population. 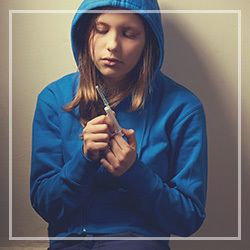 Heroin is of particular concern because of its extremely addictive qualities —nearly 25 percent of those who use, even once, will become addicted— both chemically, and mentally —it is hard to compare to the euphoria induced by heroin. Both being under the influence and withdrawing from heroin are incredibly dangerous to the user. While under the influence, the user’s heart and breathing rates drop dramatically and can be fatal. Withdrawals can cause violent episodes of involuntary movements, widespread body pains, vomiting, diarrhea, cold sweats, and an intense craving for the substance. Listed here are the six most commonly abused and most dangerous abused substances. However, many more Americans suffer from addiction to other addictive substances. For additional resources, check out this list from the Addiction Center and the National Institute on Drug Abuse. If you or someone you care about is suffering from a substance abuse problem and you are looking for drug addiction treatment in Oak Park or Detroit, contact us at Metropolitan Rehabilitation Center. At Metro Rehab, we have been helping our community overcome drug addiction and substance abuse for almost 30 years. Get your life back today!